Author: Todd, Catherine Set In . . .
After more than a decade alone, attorney Lynn Bartlett was ready to shake up her reliably comfortable life. So when successful, kind-hearted Jack Hughes—with his home in Silicon Valley, his safely remarried ex-wife, and his two grown children—proposed, it seemed like a dream come true. After all, how hard could it be? All you had to do was be nice to everybody and you’d all get along. Welcome to the perilous world of the second wife, where nothing turns out quite as expected. With an unemployed, unmotivated stepson who declares he’s moving in “temporarily,” a stepdaughter who oozes scorn, and a husband who’s hiding something, Lynn’s imagined domestic bliss begins to crack. 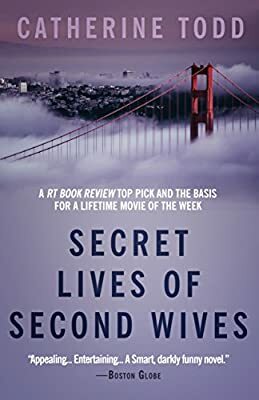 Add in an ex-wife who shows up at inopportune times, a law partner who may be involved in illegal dealings, and a client whose attractions prove far too tempting, and Lynn finds both her marriage and her career could be in trouble.